Let's use the Bible Teach Book as an example. Go into the Library > Bible Teach book. 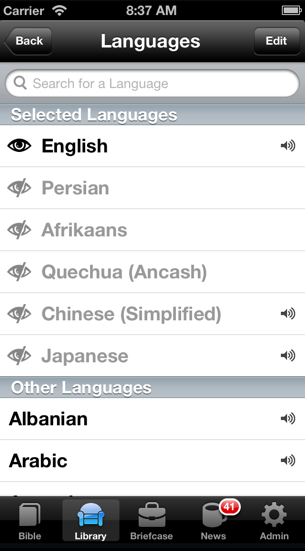 From the "Languages" menu on the black toolbar, choose a different language. Now click on one of the chapters in that language. 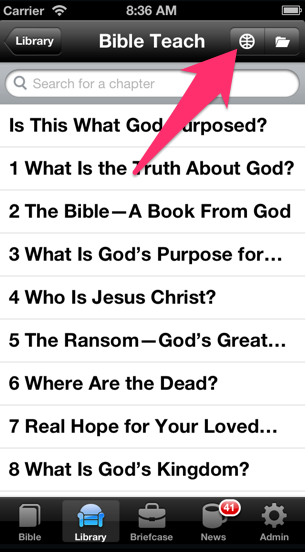 Once the chapter opens, swipe left->right or right->left and it will toggle between the current language and English. Back on the main Bible Teach screen if you open the "Languages" button again, you will see there are now two "Selected Languages". When you swipe right->left it is actually toggling between all the "Selected Languages" - so if you select other languages then it will toggle between them all.